Agri Mega Week has developed into one of the biggest and most important events on the agricultural calendar. We spoke to Media & Marketing Manager, Alex Kleinsmith to find out more. Please tell us about the background to the show. 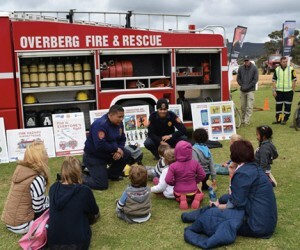 Agri Mega Week started 15 years ago when Overberg farmers recognised the need for an agricultural information and open day. The typical agricultural show transformed into an agricultural trade expo that attracts local, national and international producers, commodity organisations, government, marketers, consumers and farm labourers. It is an opportunity to partner, share information, accelerate sector development and create business opportunities within the agricultural sector. In 2014 the event hosted 60 global countries collectively ,with the 2015 expo theme announced as “Africa for International Food Security”. Collectively the 2014/2015 event hosted more than 25 000 visitors. Agriculture and its functions being a primary economic sector contributor to South-Africa’s GDP, the purpose of Agri Mega Week is to unite agricultural role-players across the broader value chain. How many exhibitors were there this year? There are approximately 350 exhibitors across seven sectors. This includes agro-processing. How many people are involved in making the show a success? Including volunteers, the team consists of at least 40-50 people. 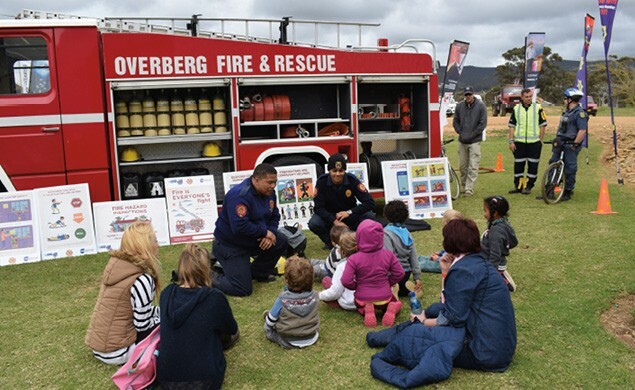 This year Agri Mega Week hosted the Cape Floral Kingdom Expo, the BeSAFE Rural Safety Expo and Mega PetEx that gave visitors and attendees the additional benefit of visiting four expos at one premise. We had about 17 000 visits through our gates this year. How do shows like this help the farming community? Firstly, it unites agricultural roleplayers across the broader value chain and so doing accelerates sector development. It also creates synergy regarding land reform and agricultural transformation and raises awareness about the rights and roles of commercial farmers, smallholder farmers and farm workers.